Former Pro Bowl cornerback and Jacksonville native Lito Sheppard's vehicle was vandalized by another former NFL player with local ties on Monday while he was dining out in Jacksonville Beach, police said. Former Pro Bowl cornerback and Jacksonville native Lito Sheppard's vehicle was allegedly vandalized by a former high school and college teammate on Monday in Jacksonville Beach, police said. The Jacksonville Beach Police Department responded to a call from Sheppard, who said he was eating inside the Pier Cantina when his vehicle was vandalized. Sheppard said he wasn't aware that his vehicle was damaged until he was driving it home from the restaurant. He said once he pulled over, he had to get his vehicle towed to the BMW dealership for repair. Sheppard said he called the restaurant and they allowed him to view the surveillance video. He named former Florida Gators teammate Derrick "Jabar" Gaffney and his longtime girlfriend as suspects, according to the police report. He said the two have an ongoing feud that began in 2012. "Gaffney retrieved some type of tool and a container from the suspect's vehicle, walked over to the passenger's side of the victim's vehicle near the gas tank, and pried it open," the police report said. "Gaffney then poured an unknown substance from the container into the gas tank ... The unknown female walked around the vehicle and stabbed all of the tires with a sharp object." The suspects fled the scene in an unknown direction. Sheppard said his vehicle sustained about $14,000 in damages. Shortly after the report surfaced, Gaffney's attorney told the Florida Times-Union that his client had no involvement in the vandalism. The attorney said police had yet to reach out to his client as of Saturday. 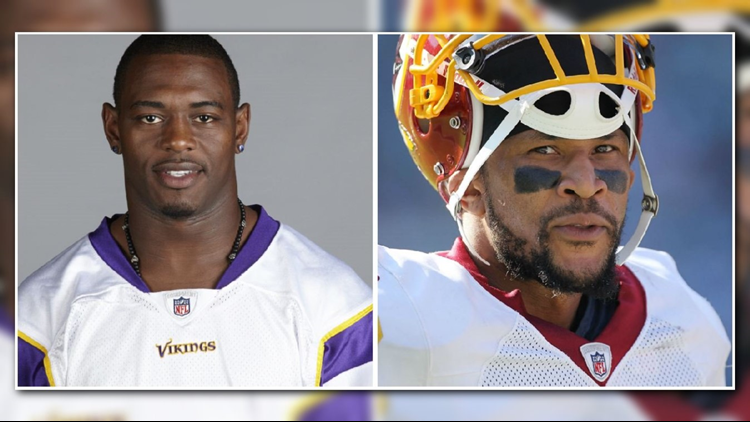 Both Sheppard and Gaffney played football at Raines High School before moving on to notable careers at the University of Florida and in the NFL. Sheppard was named an All-Pro in 2004 and he was selected to two Pro Bowls while playing for the Philadelphia Eagles. A first-round pick in 2002, Sheppard played for four teams during his 10-year career, which ended in 2011. Gaffney was a second-round pick in the same draft as Sheppard. He played for seven teams during his 11-year NFL career. He was arrested in September of last year on a battery charge and in 2016 on marijuana charges.